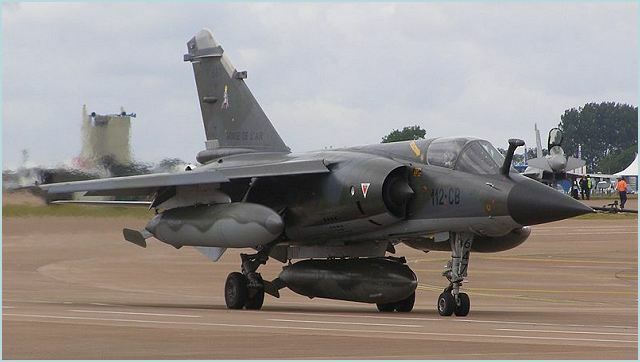 The Dassault Mirage F-1 is a French air-superiority fighter and attack aircraft designed and built by Dassault Aviation as a successor of the Mirage III family. 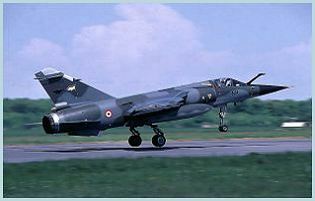 The Mirage F1 entered service in the French Air Force (Armée de l'Air) in the early seventies. 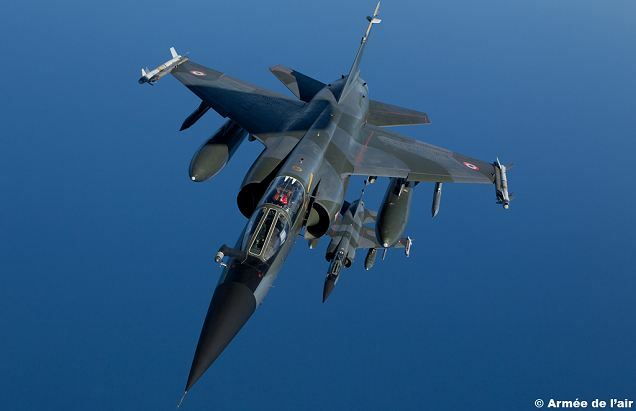 The Mirage F1 has proved to be a more than adequate successor to the Mirage III as a multi-role aircraft, with emphasis on a large payload, easy handling at low altitude, and a high rate of climb. Excellent short take-off and landing performance results from the high-lift system, comprising leading-edge droops and large flaps fitted to the sharply swept wing. 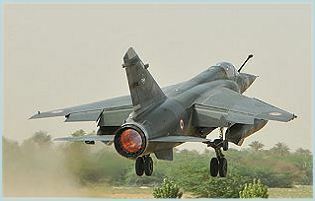 At its average mission weight the Mirage F.l can take off and land within 500 to 800 m. The Mirage F 1 C was the basic version optimized for all-weather all-altitude air defense. 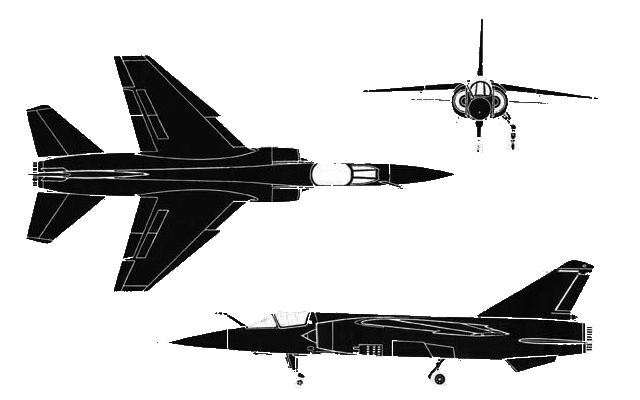 Later, two new versions (the Mirage F1 CR and the Mirage F1 CT) were used to equip the Air Force when the Mirage III R and III E reached the end of their term. 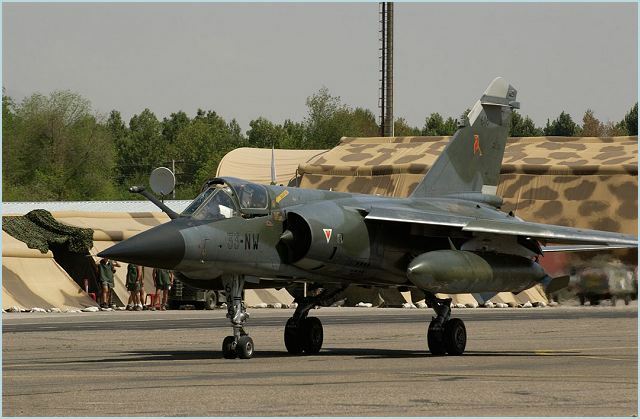 The Mirage F1 CR is a reconnaissance version of the Mirage F1C-200. 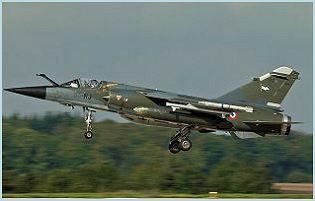 The first Mirage F1 CR flew on 20 November 1981. 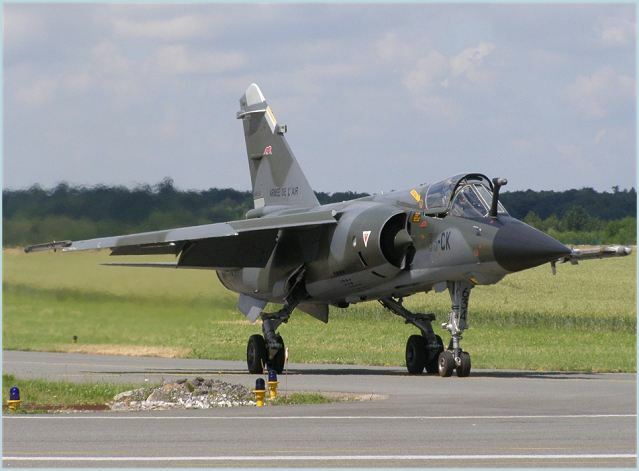 A total of 64 Mirage F1 CRs were ordered by the French Air Force. The first French air force unit equipped with the CR was Escadron de Reconnaissance 2/33 which became operational in September 1983. 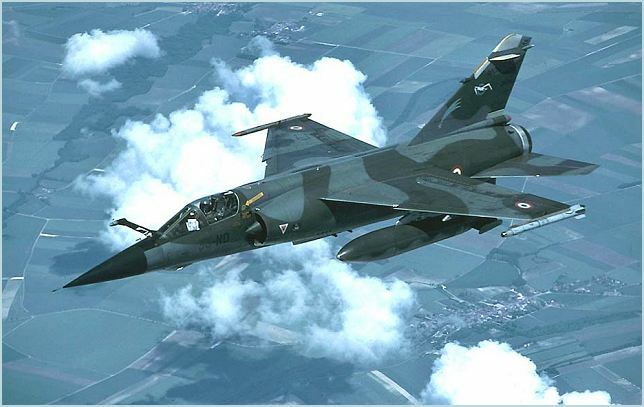 The Mirage F1 CR is a defense and air superiority single-seater plane. The wings are high-mounted, swept-back, and tapered. Missiles are usually mounted at the wing tips. There is one turbojet engine in the body. There are semicircular air intakes alongside the body forward of the wing roots. There is a single exhaust. The fuselage is long, slender, pointed nose and a blunt tail. There are two small belly fins under the tail section and a bubble canopy. The tail is swept-back and tapered fin with a blunt tip. The flats are mid-mounted on the fuselage, swept-back, and tapered with blunt tips. 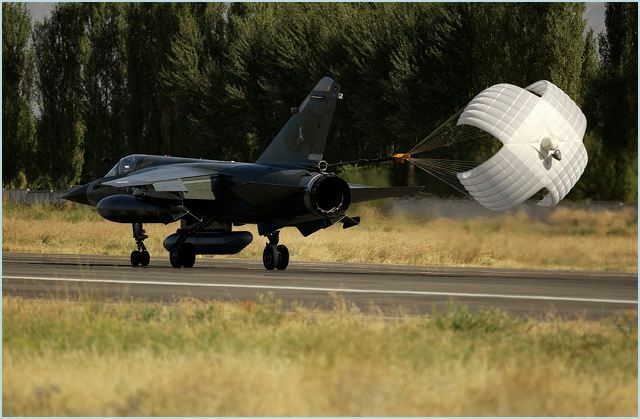 The Mirage F1 CR carries reconnaissance equipment mounted internally and externally. A SAT SCM2400 Super Cyclone infrared linescan unit is installed in the space previously occupied by the port cannon. A space under the nose can be used for a Thomson-TRT 40 panoramic camera or a Thomson-TRT 33 vertical camera. 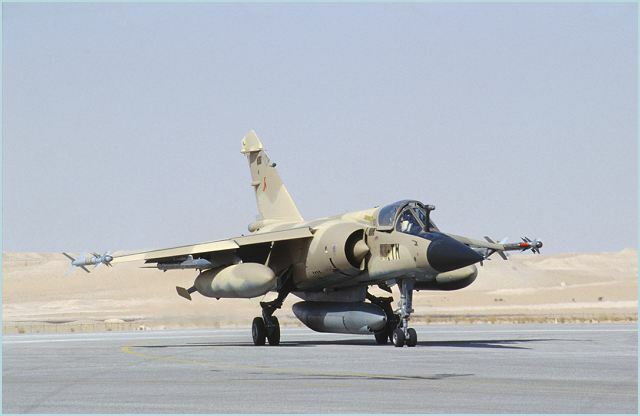 The Mirage F1 CR is equipped with a Thomson-CSF Cyrano IV monopulse radar which has 80 per cent greater range than the Cyrano II in Mirage Ills, and allows intruders to be intercepted at all altitudes, even if they are flying low in ground clutter. Once the target has been selected manually by the pilot, the radar continues to track it automatically. A variety of sensors can be carried in external pods carried under the fuselage centreline. These include the Raphaël TH Side-Looking Airborne Radar (SLAR), the ASTAC ELINT pod and the RP35P optical reconnaissance pod. 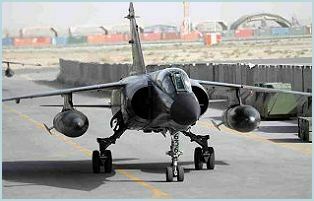 The Mirage F1 C1 is also be fitted with countermeasure systems BARX, PHIMAT, CORAIL and EAGLE/EWS. The Mirage F1 CR is powered by a single SNECMA Atar 9K-50 turbojet providing about 7 tons-force (69 kN; 15,000 lbf) of thrust. This aircraft can fly at a maximum speed of 2,350 km/h or Mach 2.2 with a maximum range of 900 km. The Mirage F1 CR can be armed with one 30mm DEFA 552 cannon, two R.550 Magic II short-range air-to-air missiles, laser guided G.B.U. air-to-ground bombs, BAP 100 airfield attack bomb, BAT 120 anti-armour bomb, air-to-surface rockets and Anti-Radar Matra (ARMAT) missile. France,South Africa, Spain, Greece, Kuwait, Libya, Morocco, Ecuador, Iraq, Jordan and Qatar. A SAT SCM2400 Super Cyclone infrared linescan, Thomson-TRT 40 panoramic camera, Thomson-TRT 33 vertical camera, Thomson-CSF Cyrano IV monopulse radar, Raphaël TH Side-Looking Airborne Radar (SLAR), the ASTAC ELINT pod and the RP35P optical reconnaissance pod.